The moment they saw each other, Bean and Ivy knew they wouldn't be friends. But when Bean plays a joke on her sister, Nancy, and has to hide quickIvy comes to the rescue, proving that sometimes the best of friends are people never meant to like each other. 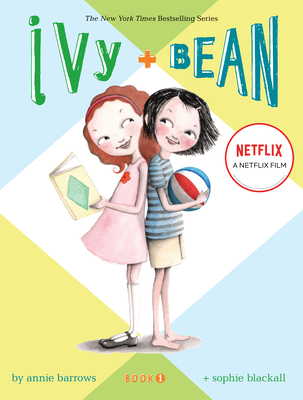 Vibrant characters and lots of humor make this a charmingand addictiveintroduction to Ivy and Bean. Annie Barrows has written a bunch of books for grown-ups, but Ivy and Bean is her first series for kids. Annie lives in Northern California with her husband and two daughters. Sophie Blackall is an illustrator whose work has appeared in many newspapers and magazines, including the New York Times . She lives in New York, with her husband and two children. Her previous books include Ruby's Wish and Meet Wild Boars.